Great opportunity to establish or relocate your business to a more modern facility and functional business park. Located centrally and close to the M5 and Sydney Olympic Park this office space provides separate offices with a large waiting room. Be a part of this growing region of Sydney yet staying close to the Sydney CBD. NB. Outgoings are to be negotiated between the two parties. Suitable for most types of business please feel free to inquire today by calling Ray White Rentals on 0431 268 515 or John Shalala 0405 535 611. Alternatively contact our office on 9747 2222 to speak with one of our friendly staff. 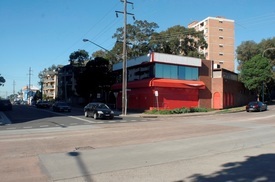 Close to public transport.. Price: $520pw | 5 Person Workspa..
Central location | Bike r.. Price: $2050pw | 20 Person Works..
High visibility corner building. Ideal for retail, commercial or light industrial. 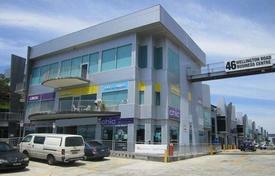 Ground floor showroom and warehouse with mezzanine office leading to large car parking area. Amenities on both levels. Excellent opportunity to be seen.